BugsContrib is not installed on Foswiki.org. The Bugs web is intended for collecting reports of issues, and then tracking progress towards getting those issues fixed. Issues are structured Foswiki topics, where forms are used to store a number of fields that contain data about the issue. This is an Item Tracking System implemented using DataForms. It has been implemented to be used in a web on its own, but could be intermingled with a discussion style Web. It is a pure Foswiki Data Application implemented using only what you get in the box when you download Foswiki. A customised version of it has been in use as TWiki's bug tracking and shakeout system since 2005 - See http://develop.twiki.org/~twiki4/cgi-bin/view/Bugs, and now also as Foswiki's tracking system since the Fork. The BugsContrib is a Foswiki Application (an application that is implemented entirely in Foswiki topics). It is designed to use the left bars supported by PatternSkin and the Foswiki:Extensions.MoveableTypeSkin, though could easily be converted to another skin. It's ideal for a small bug database (we have used it with over 4000 items with no problems) for a disciplined team. 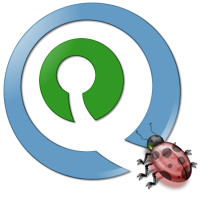 The main entry point for examining the list of issues is _BugsContrib.AllOutStandingItems, which can be used to perform general purpose searches over the database. You can subdivide the web into different areas using the _BugsContrib.AppliesTo field, and provide each area with its own search topic. Unpack it in your Foswiki installation directory. Run perl BugsContrib_installer.pl install to automatically check and install other Foswiki modules that this module depends on, that you may not have installed. This script also includes an uninstall option should you ever wish to remove the plugin from your installation, and an upgrade option that will automatically download and install the latest version. Create a new bugs web workspace below. _BugsContrib.ItemTemplate contains the basic bug form. This is a DataForm. 3 Oct 2010: Foswikitask:Item9785: Add BugsContrib.pm dummy module and document requirement. Topic revision: r16 - 05 Oct 2010, GeorgeClark - This page was cached on 25 Apr 2019 - 06:50.